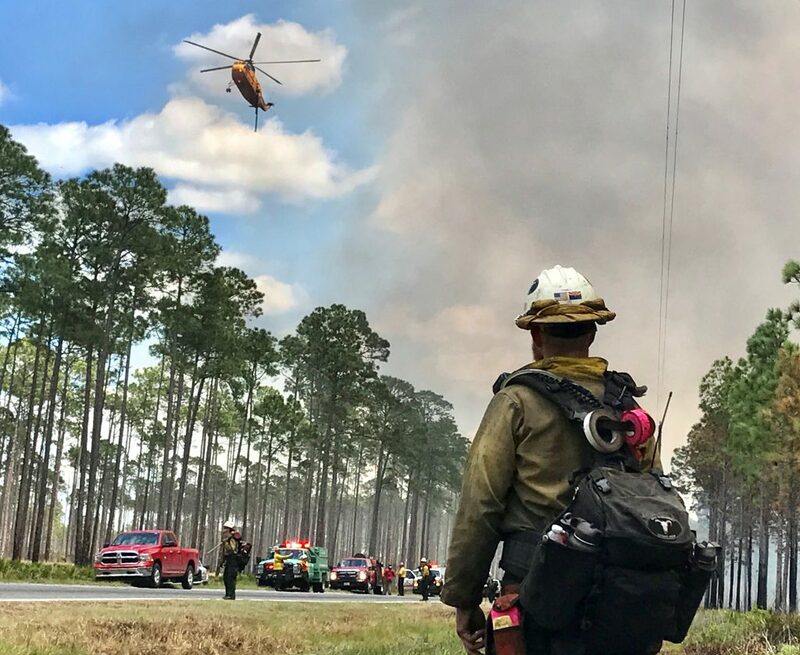 A wildfire in southern Georgia is burning so violently, it might not be extinguished until November, the U.S. Fish and Wildlife Service said. 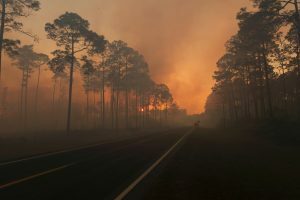 The West Mims fire started April 6, when a lightning strike sparked a flame in the Okefenokee National Wildlife Refuge. Since then, the fire has expanded to cover over 100,000 acres of the refuge. As of May 1, the blaze has destroyed 25 percent of the refuge, and only 8 percent of the fire has been contained. Firefighters have been working to contain the fire, aided by helicopters, bulldozers and thousands of gallons of water. 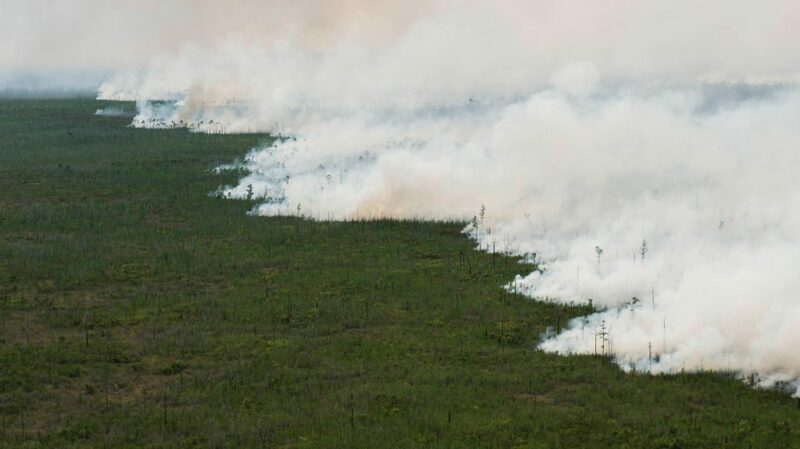 Recent wildfires have scorched the southern United States. 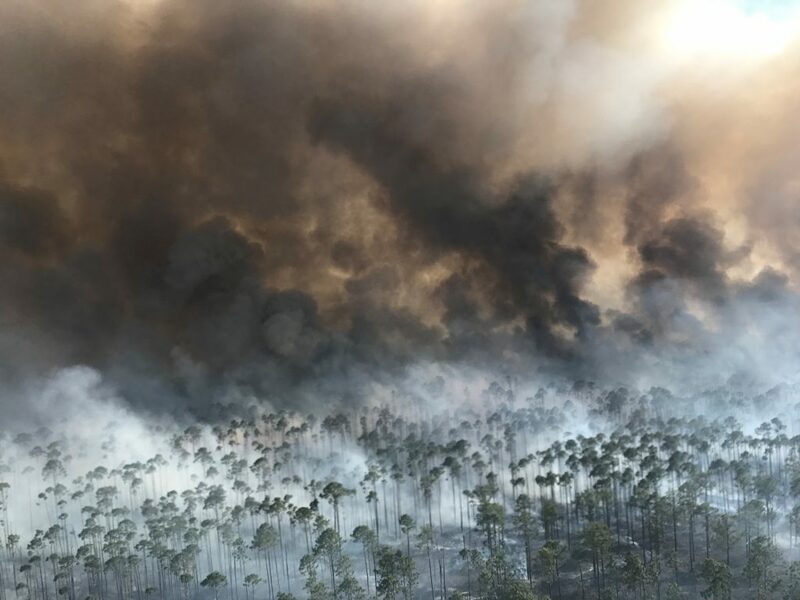 Nearly 1,500 wildfires hit Florida earlier this spring, and a wildfire torched dozens of homes in Tennessee late last year. 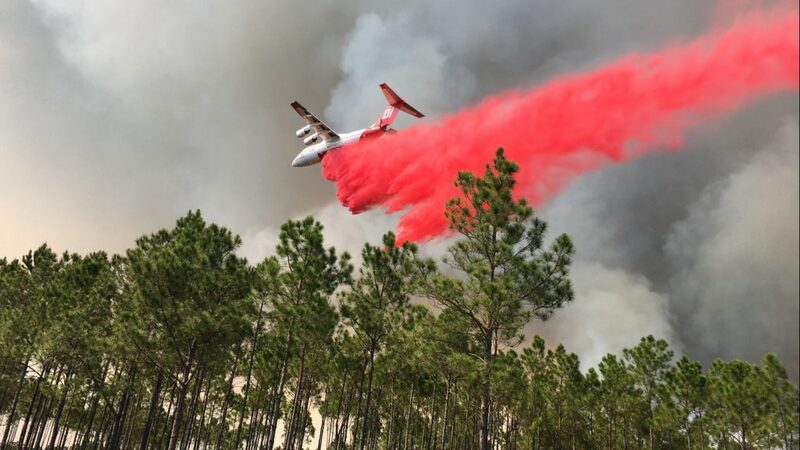 As of now, the wildfire has avoided residential areas, but the smoke has drifted into some nearby towns, such as Waycross. Multiple counties have declared states of emergency since the start of the fire.